What is Mesothelioma, the Asbestos Cancer? It is a type of cancer found in those who have been working unprotected with asbestos. The name given to the disease has been taken from the word "mesothelium", which is the outer lining of lungs, heart and stomach. The disease affects the mesothelium, hence the name mesothelioma. Those who have been associated with working with this material are the victims of this disease. It is believed that the exposure may not necessarily be for years; even few months are enough to cause the disease. It is also thought that if the workers carried asbestos dust with them on their clothes and hair etc. to their homes, those closely associated with them like their family members could also be affected but their chances of getting mesothelioma are obviously not as great as the worker himself. Asbestos is a natural mineral, which has been used for centuries as building material. Its deadly effects on human health were probably not known or were mistaken as aging effects because the symptoms are quite general and non-specific in nature. The symptoms do not appear soon after the exposure. It may take decades before the disease develops it self. So the use continued and the workers kept inhaling the fiber till it was noticed during early part of 20th century that death rate among the asbestos workers was higher than the others. Further investigations revealed that it was asbestos that was causing cancer among the workers. Chances of getting mesothelioma by occasional exposure to finished products of asbestos are very remote unless the product has lived out its life and has started to deteriorate. Residents of old houses with roofs made of asbestos cement sheets are not considered to be in as much danger as those who come into direct contact with dust from the raw material. In addition to the workers, those who lived in close proximity of asbestos factories were also exposed to the danger to some degree. There are three types of mesothelioma named after the organ mainly affected. When lining and surrounding tissues of lungs are affected, it is called Pleural Mesothelioma due to relevance with the organ. Similarly mesothelioma related with heart is called Pericardial Mesothelioma and the one related with peritoneum, which is the lining of stomach, is called Peritoneal Mesothelioma. In this form of mesothelioma, lungs and respiratory areas are affected. – Weight loss have been commonly found among the sufferers. For treatment, surgery is performed to remove a portion or the whole lung to remove the tumor completely. – Shortness of breath have been commonly found. These symptoms are of general nature and do not necessarily point toward mesothelioma. Anyone who may have these symptoms must have a detailed medical check up done for diagnosis. For treatment of all types, chemotherapy and radiation therapy are other options in addition to surgery. Since the surfacing of hazards of working with asbestos, many governments have made laws about using this material. There are organizations at work to help the sufferers and their families, and mesothelioma lawyers and attorneys to provide legal advice and support to the affected persons. 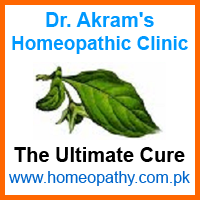 Homeopathy has many medicines for effective treatment of various types of cancer before it reaches the last stage.